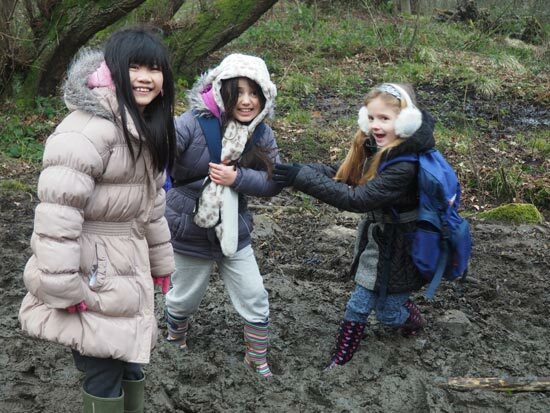 Here at Parklands we really believe in children taking part in a Residential. 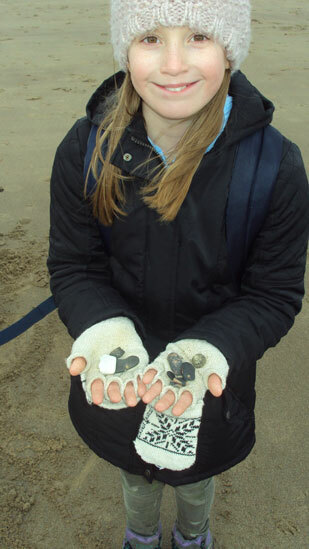 We see the impact that these have upon our children’s writing. 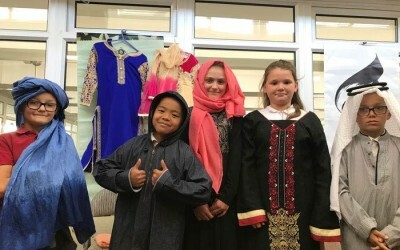 We are unique as a school as we make NO charge to ensure every child can attend. 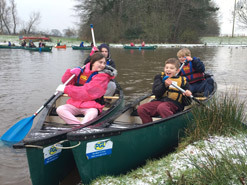 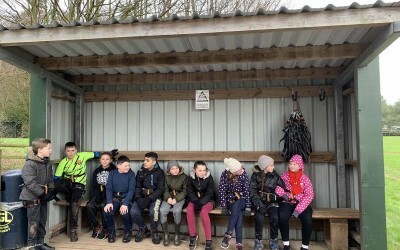 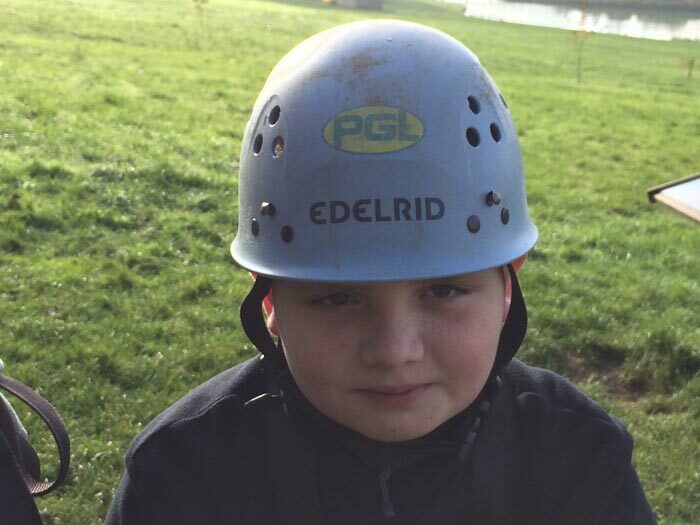 In Year 6 they spend a full week at a PGL centre doing activities aimed to challenge and build team work. 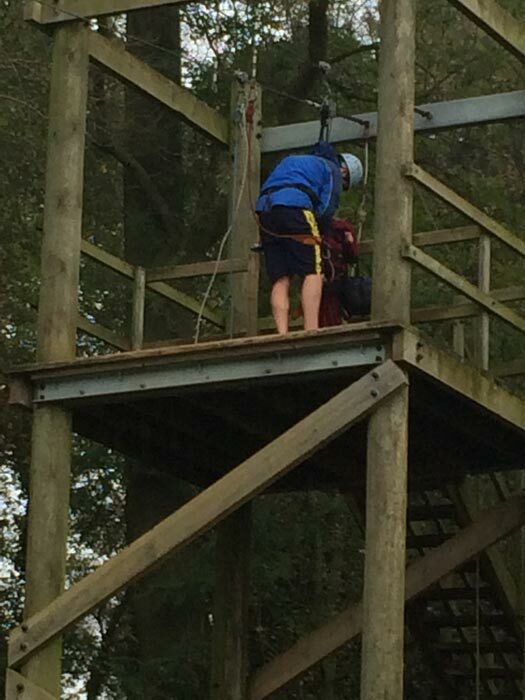 When you have been 30 metres high in the sky; attached to a rope; standing facing the elements on the top of a small circular wooden platform preparing to take the ‘leap of faith’; with your heart beating like a drum waiting to explode through your rib cage with your legs turning to jelly………. 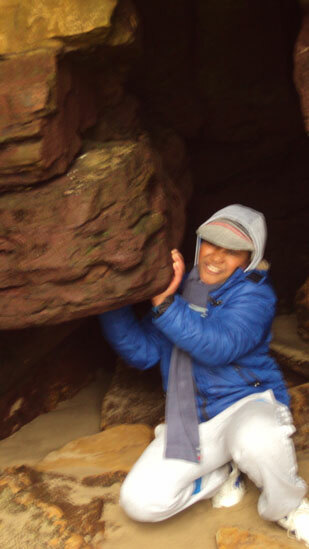 then, taking a deep breath; you make the leap of faith! 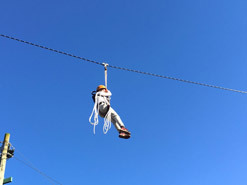 Your heart is in your mouth as you grab hold of the ice cold trapeze. 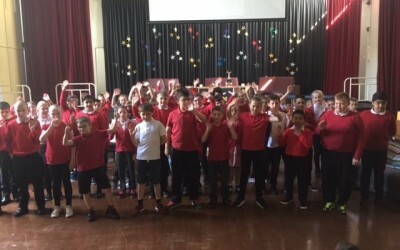 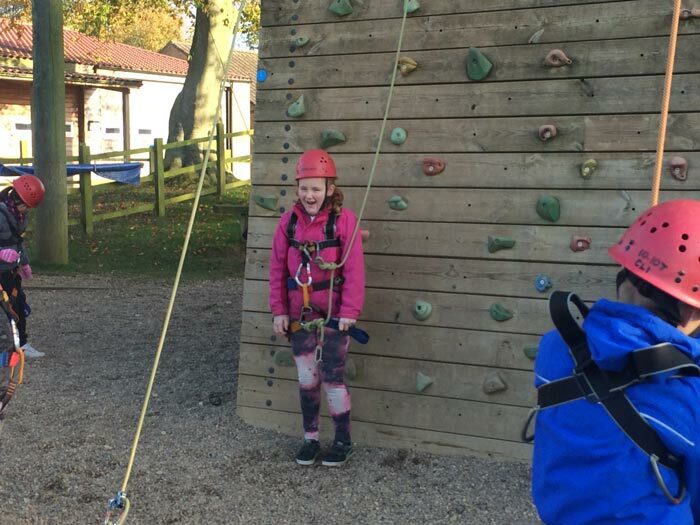 It is then you realise that you have made it; the smile engulfs your face as you now that determination made you the proudest person in the world….. After this, you know how to describe fear in your writing when returning to school. 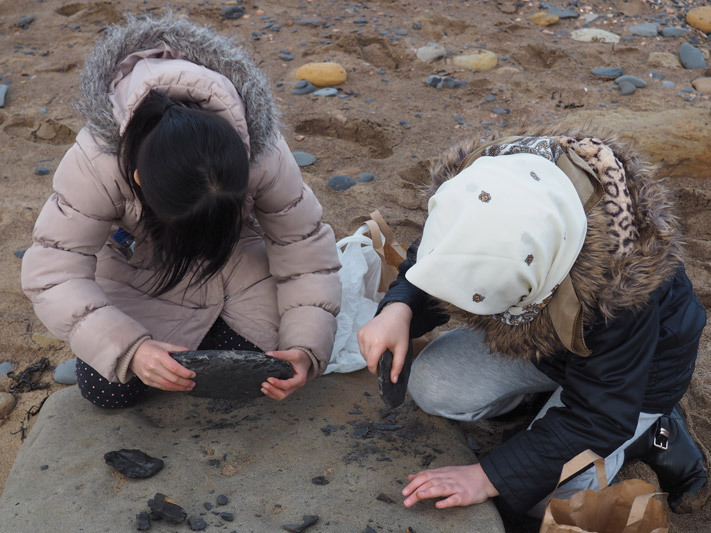 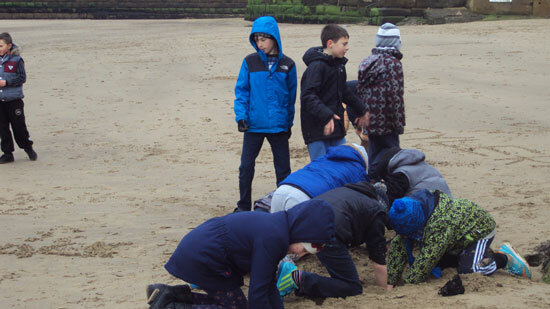 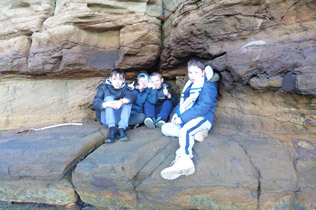 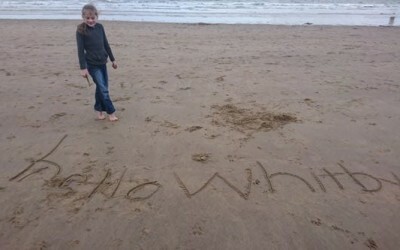 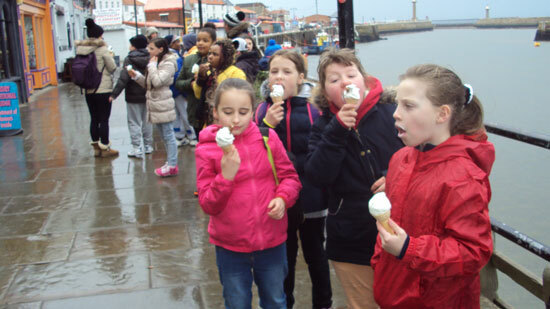 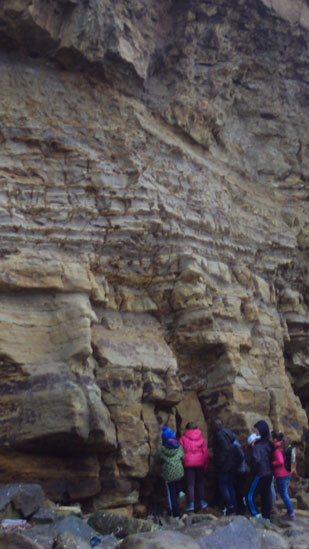 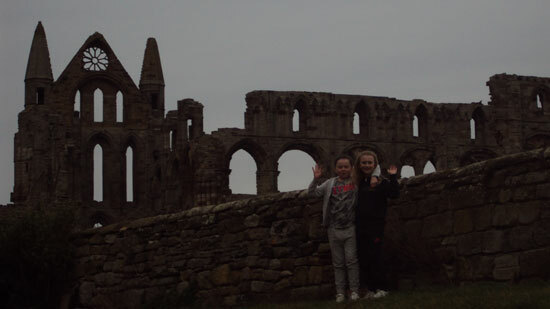 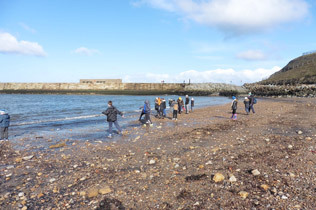 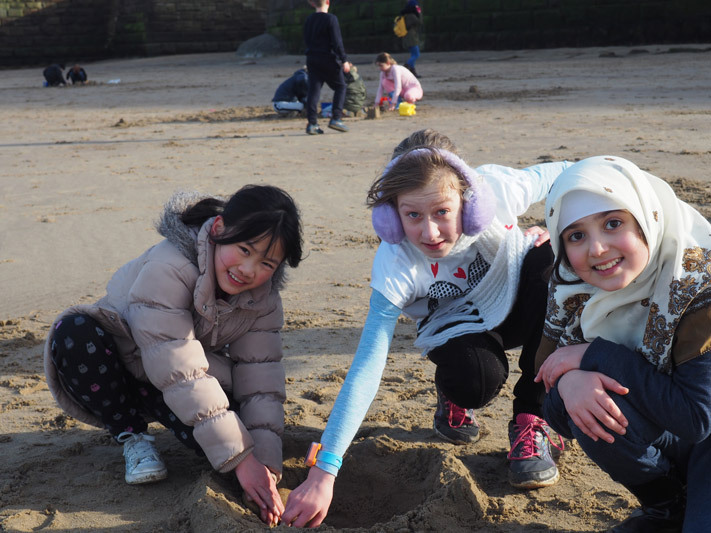 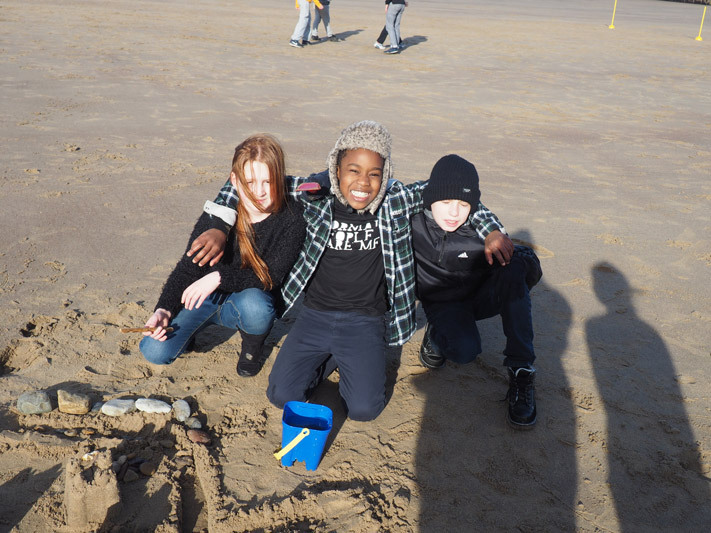 In Year 5, they spend three days doing a coastal study in the beautiful Whitby. 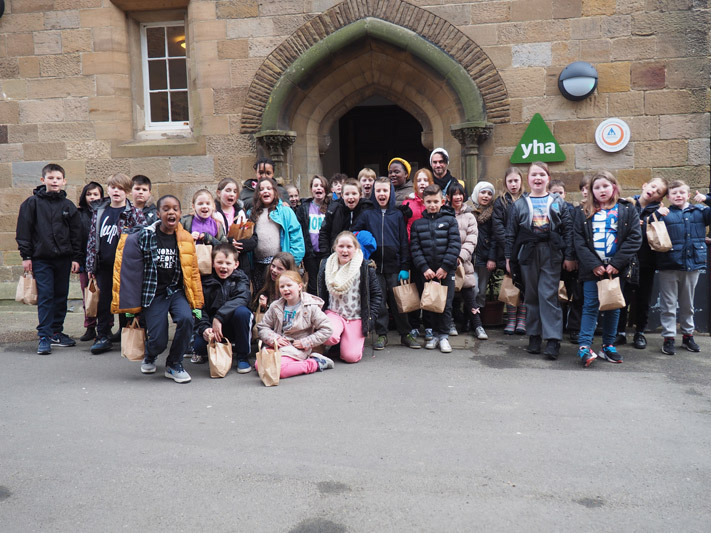 The children get to stay inside the Abbey walls at the flagship Youth Hostel. 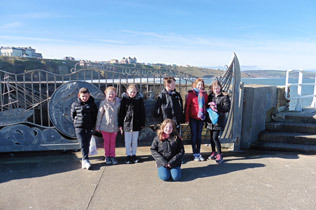 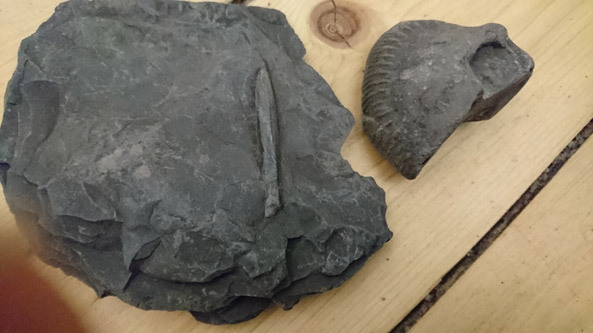 Maths trials; dinosaur hunts; beach trawls; fossil hunts and obviously the annual famous jogging up the 199 steps is a must twice a day. 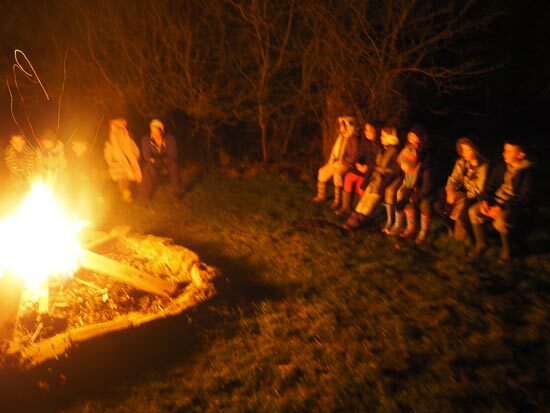 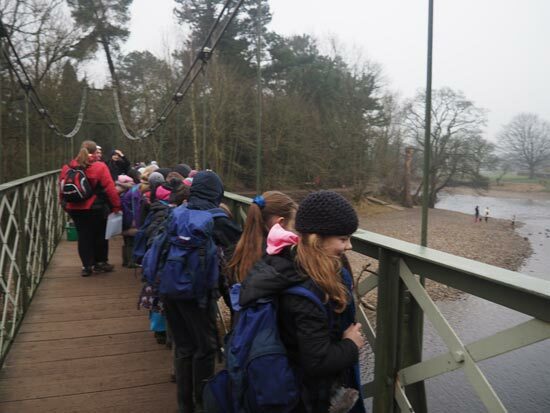 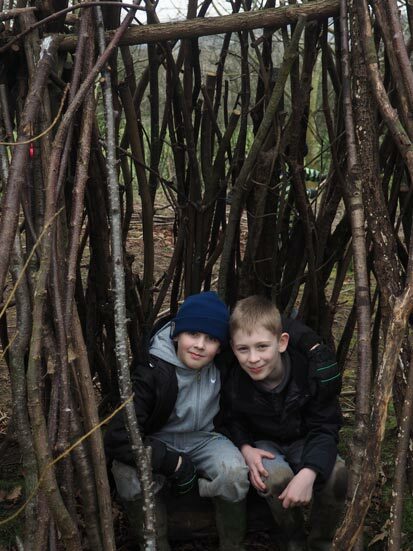 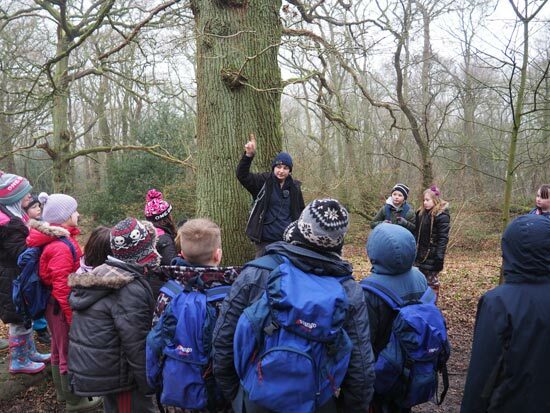 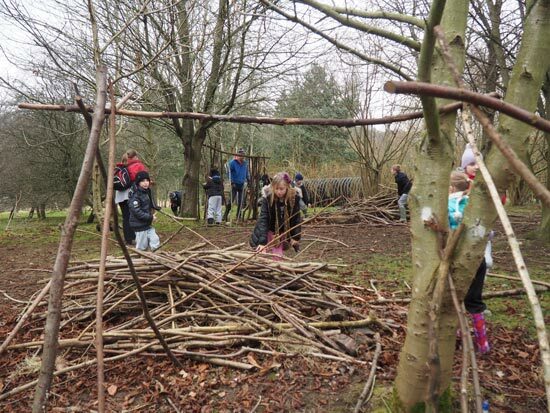 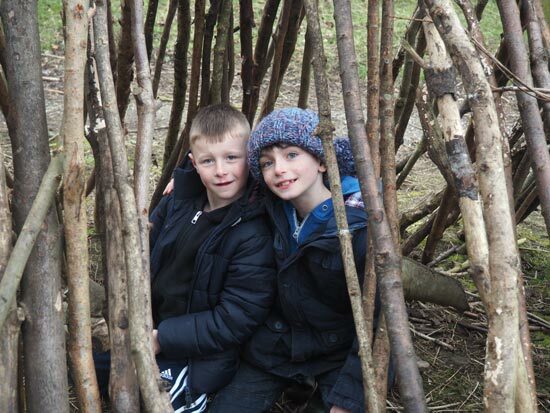 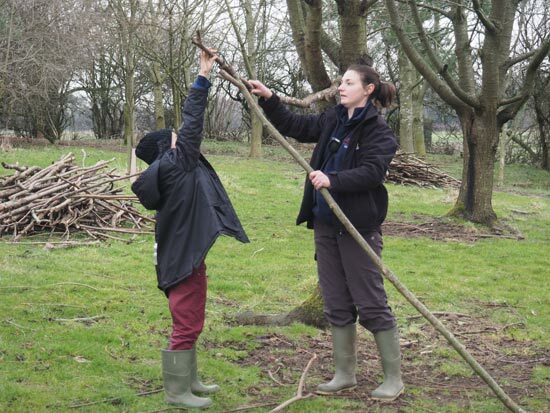 In Year 4 they spend an overnight stay at Nell Bank completing a woodland study. 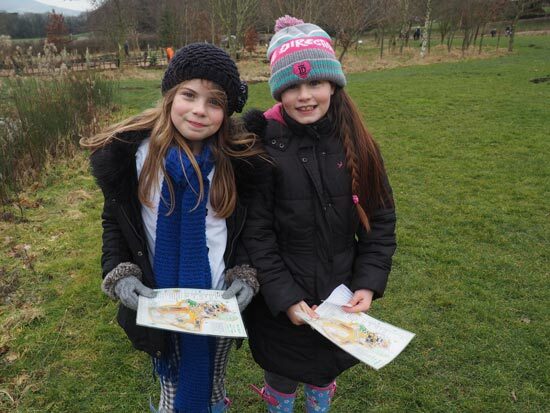 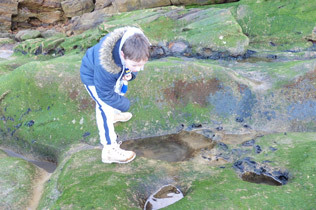 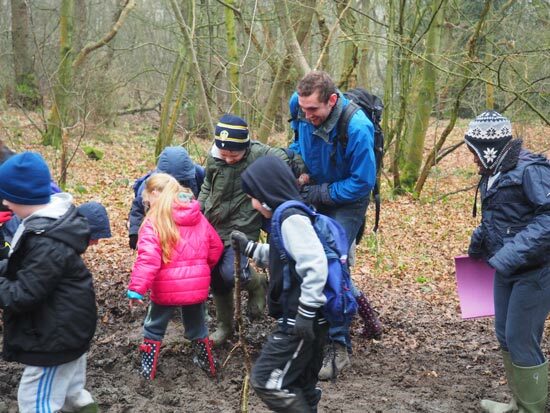 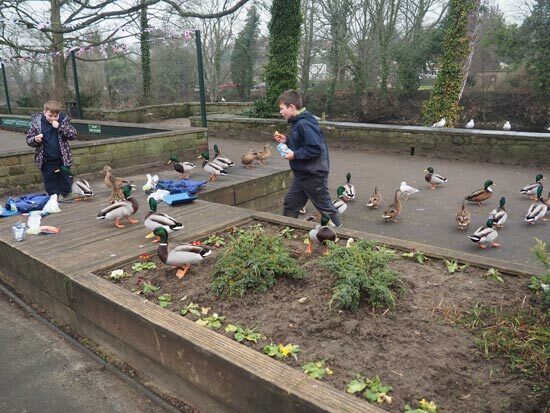 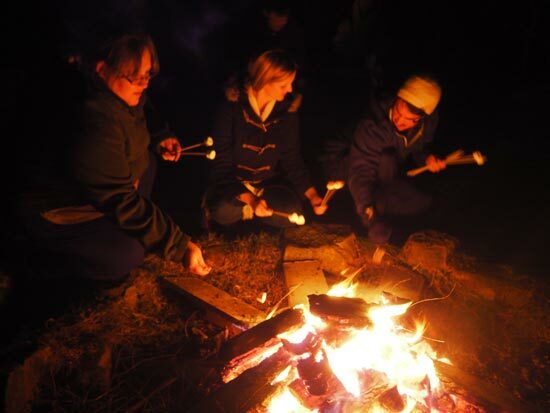 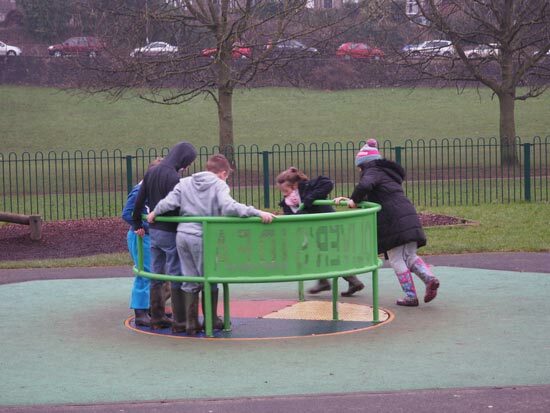 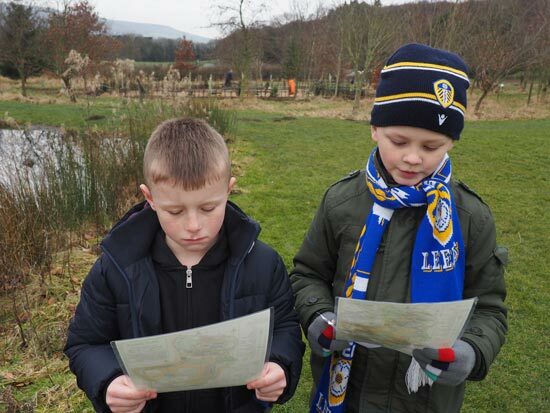 The children will do pond dipping; a mud trail; and visit the town of Ilkley. 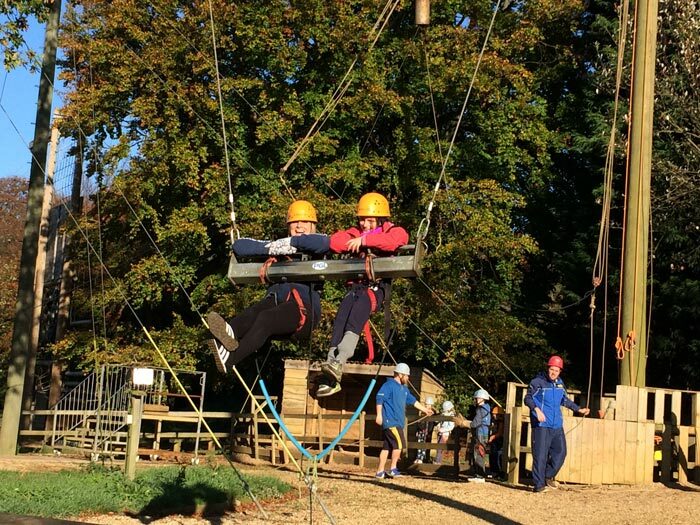 We are indebted to our brilliant staff for making these experiences become a reality. 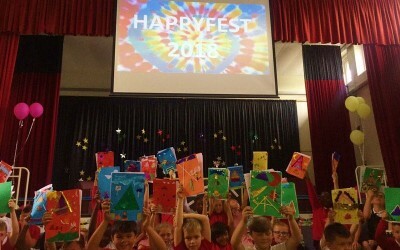 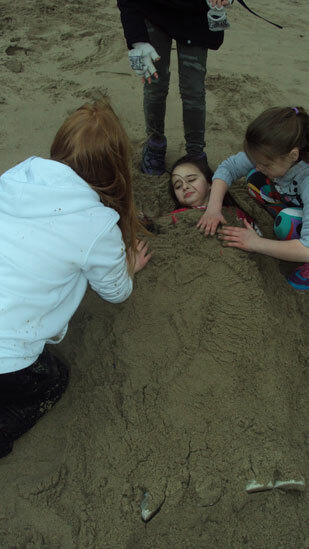 Year 4 slept at school and it was brilliant! 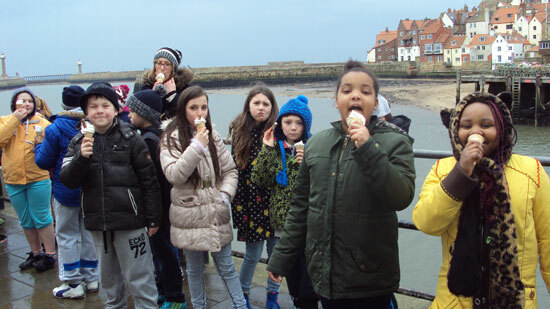 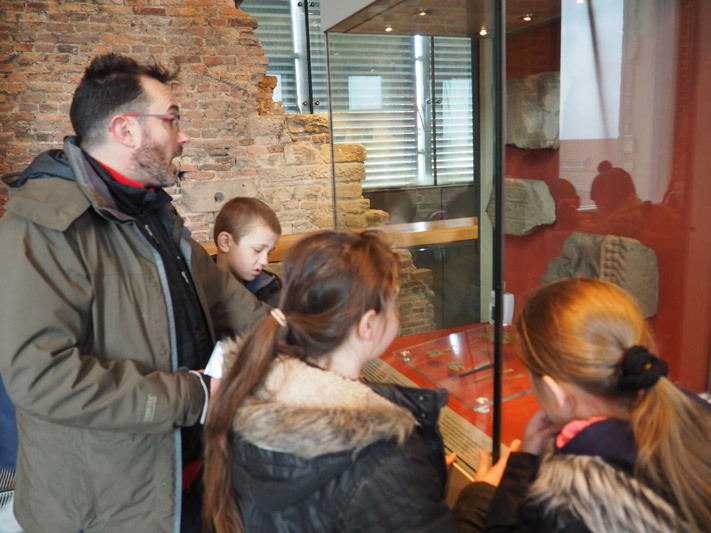 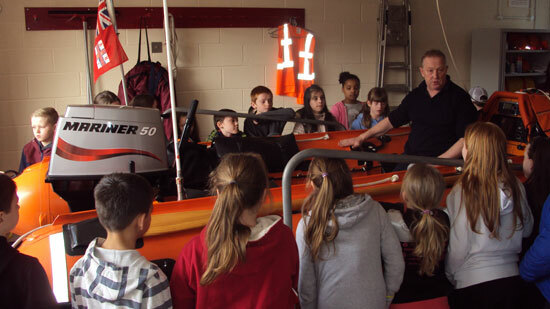 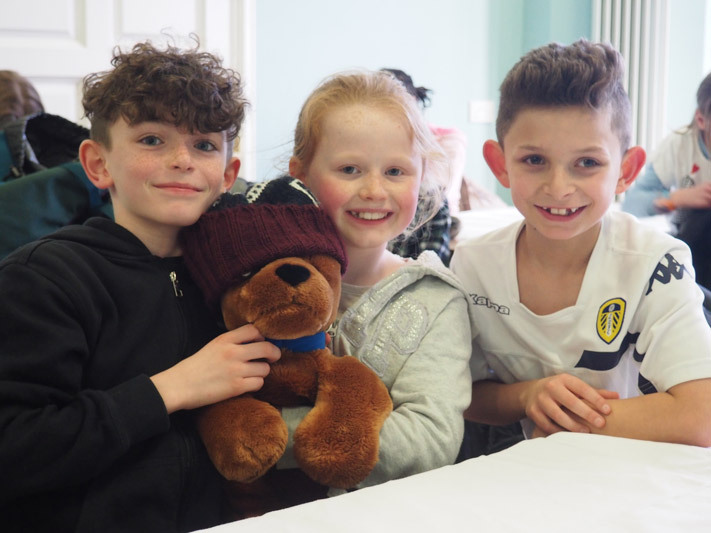 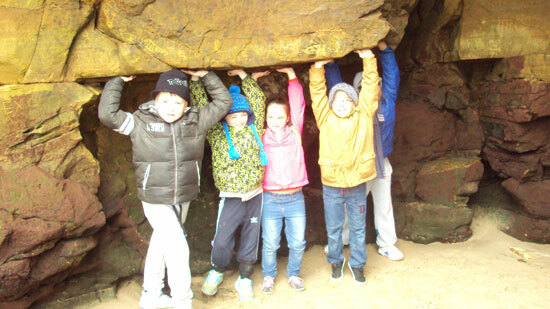 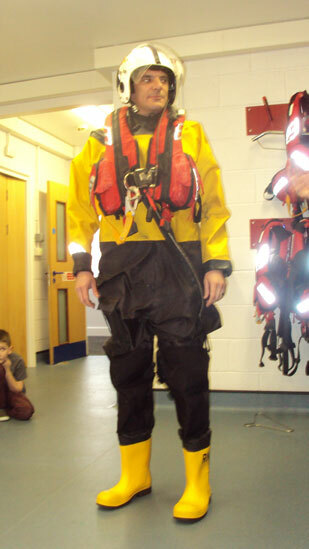 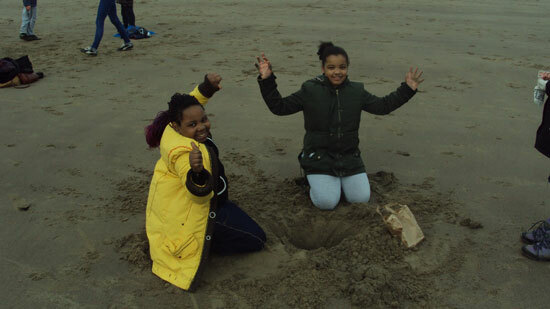 On the first day of March, 30 excited year 5s set off with their teachers for a 3 day residential in Whitby. 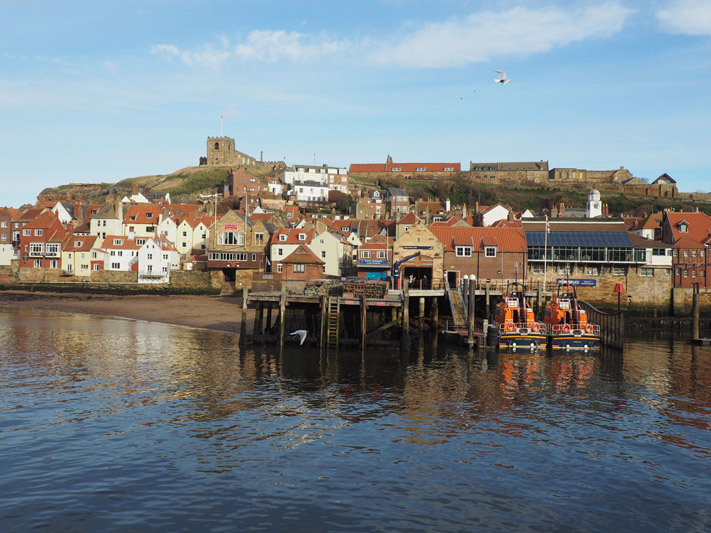 We soon left the snow of Leeds behind and as we approached Whitby the skies cleared and we were greeted in Whitby by the sun. 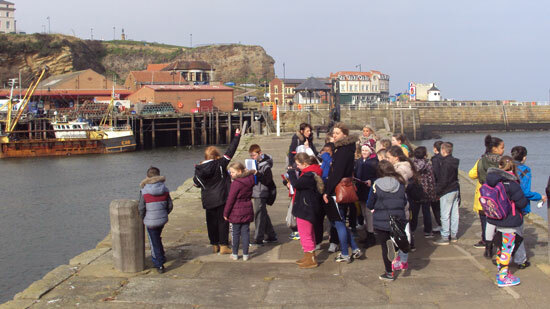 Our home for the next three days was the Whitby Youth Hostel, our rooms were large and comfortable. 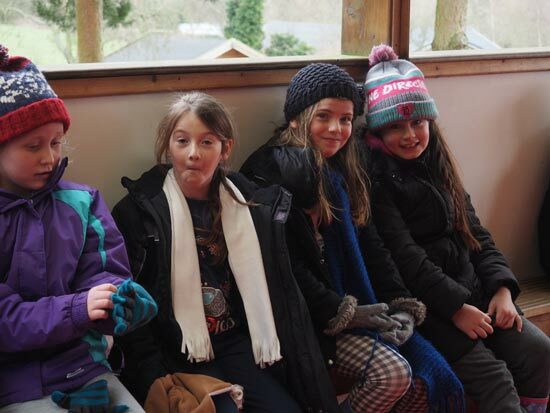 Caitlan thought it was funny we had beds and not sleeping bags and Keavy loved sharing a room with her friends Casey, Olivia, Wilsa and Kyra – it was fantastic! 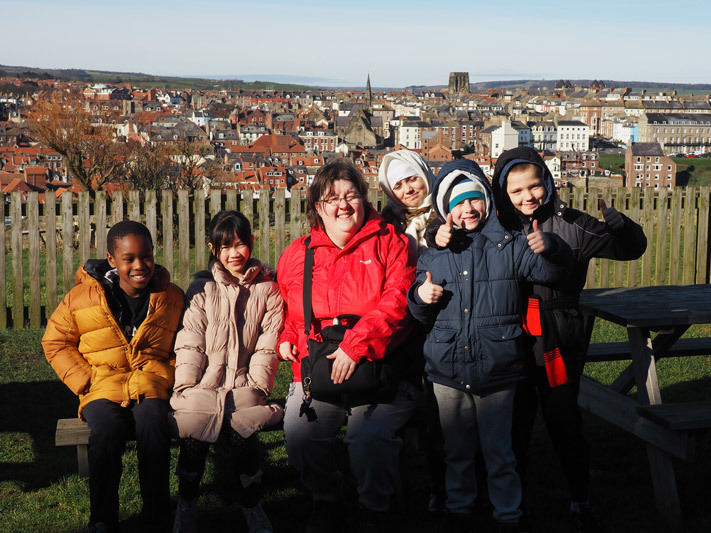 It was hard work trekking back up the 199 steps to the Abbey, we counted them to make sure that number was right, at times it felt like there were many more than that! 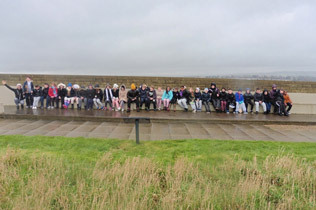 Mr Haddock told us that some of the steps are wider because that is where they would put down the coffin to take a rest on their way to the church for a funeral. 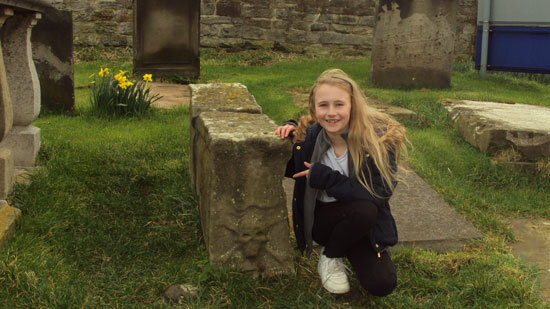 The eagle-eyed amongst us spotted the roman numerals on the steps that Miss Hattersley had taught us about in maths. 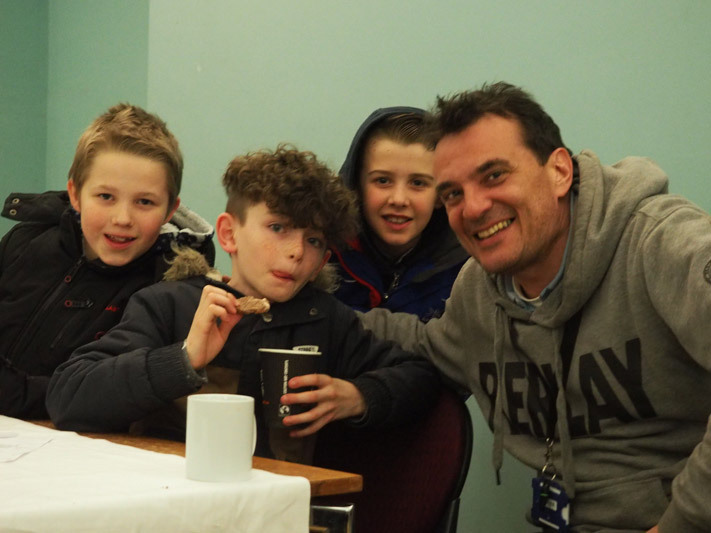 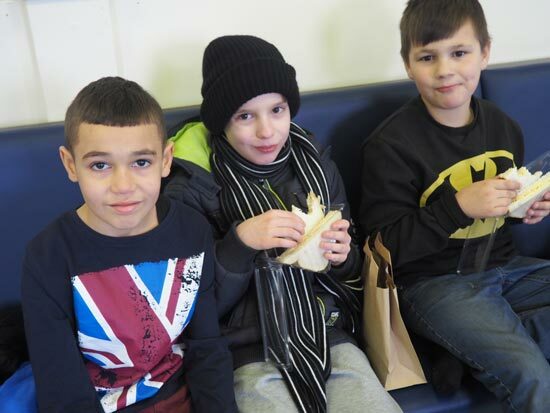 The food at the Youth Hostel was delicious – it was one of TJs favourite things. 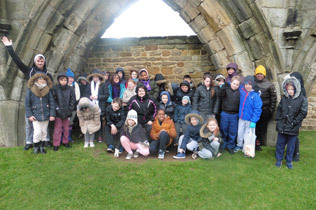 After dinner we wrapped up warm and made our way very carefully back down the Abbey steps in the dark to walk up to the whalebone arch and the statue of Captain Cook. 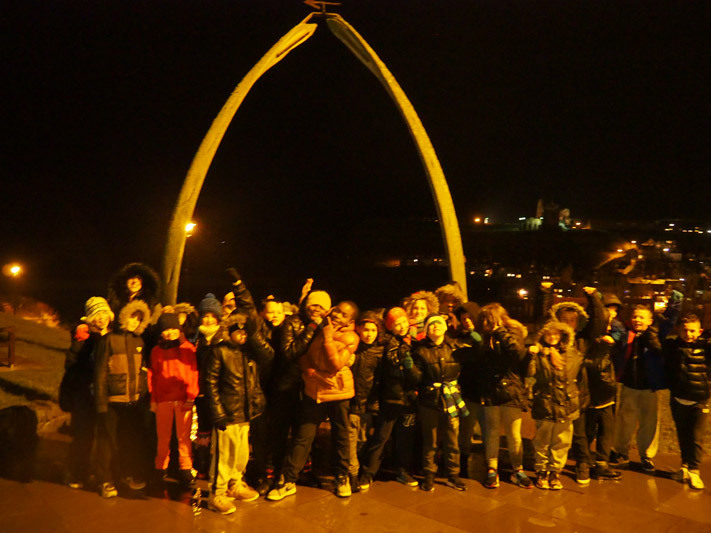 Many years ago Whitby was an important town for the whaling boats which is why it has a whalebone arch. 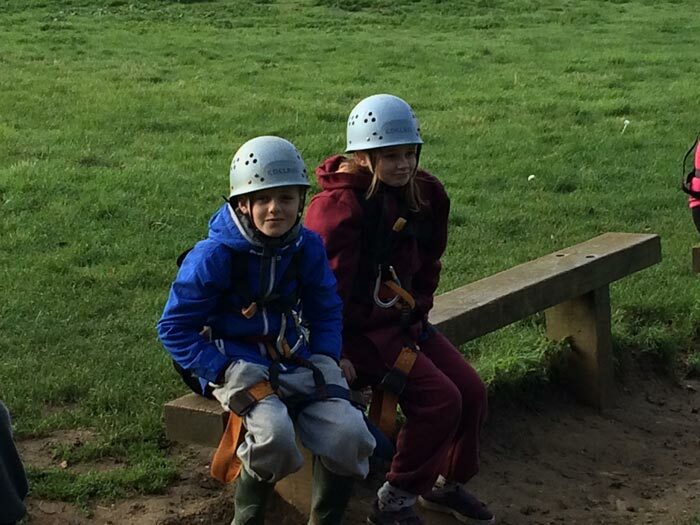 Brad and Leo were great gentlemen looking after Miss Hattersley down all those dark steps. 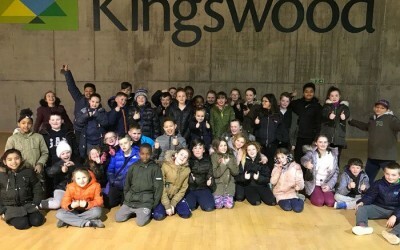 Back to the Youth Hostel and after delicious hot chocolate courtesy of Miss Scruton and Mrs Winterburn it was off to bed. 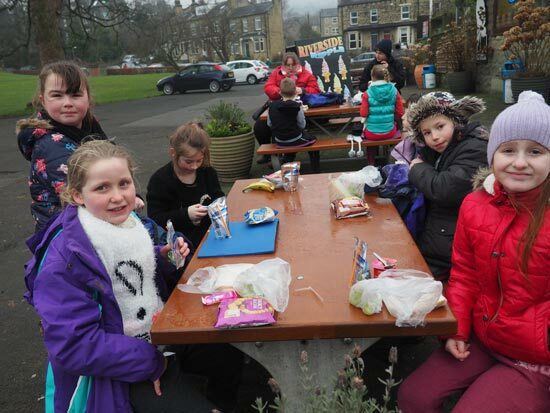 Breakfast was plentiful and delicious and once we’d had our fill we headed down the abbey steps again for a spot of shopping to spend the money that was burning a hole in our pockets! 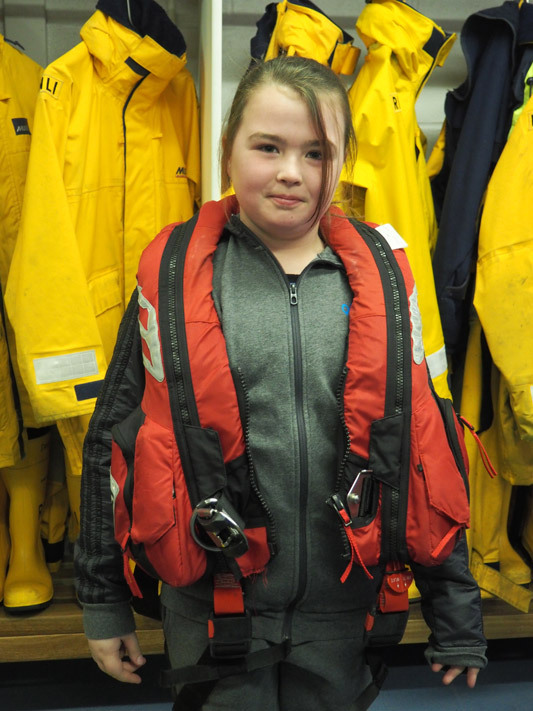 Souvenirs bought we met up with TJ and RP at the lifeboat station to find out all about how the RNLI volunteers work hard to save lives out at sea. 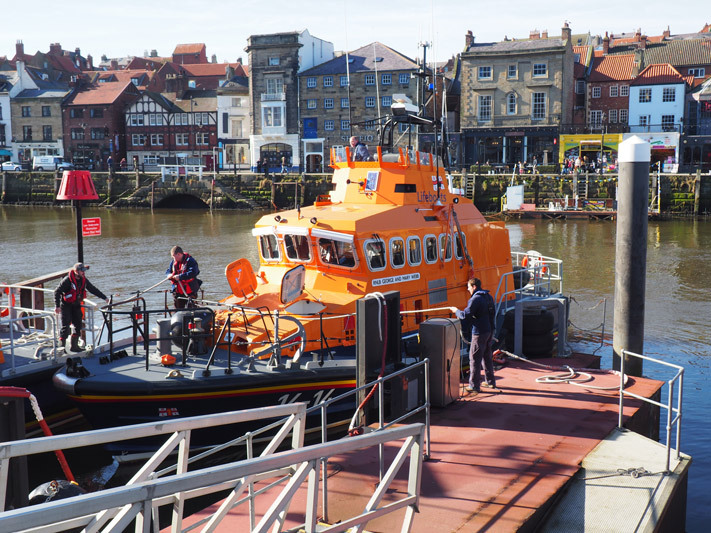 We were impressed to see the swing bridge open to let the lifeboat through, Mr Haddock and his group got stuck on the other side! 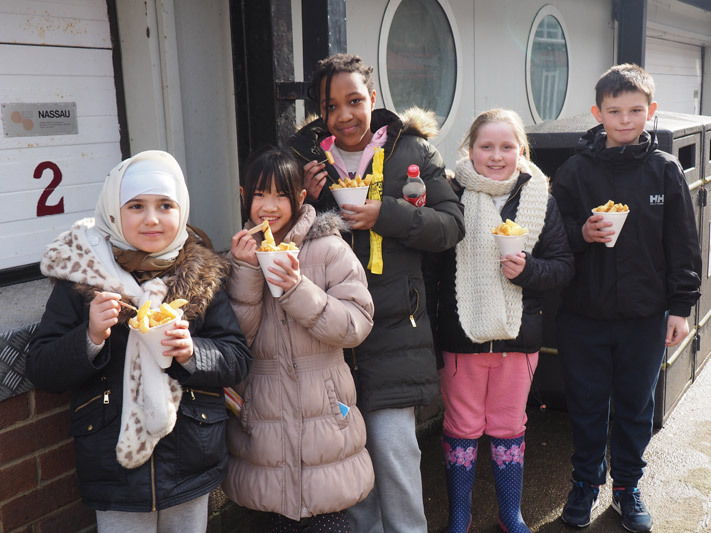 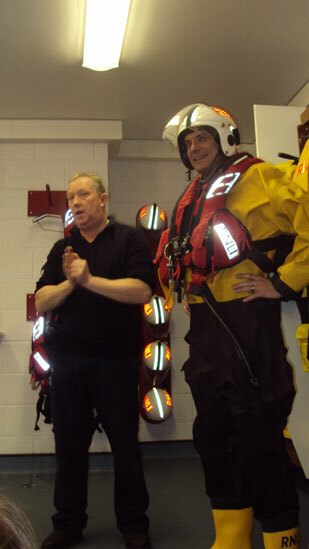 From the lifeboat station we had time to enjoy freshly cooked chips before we had to say goodbye to RP. 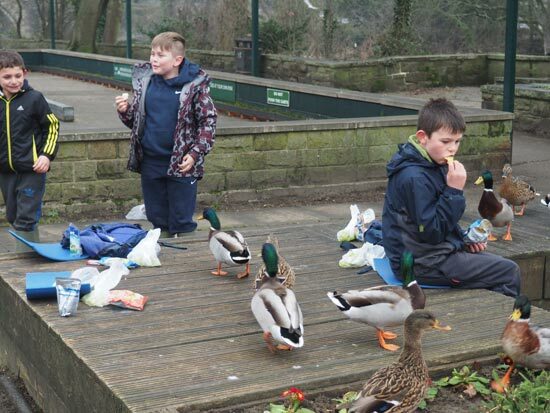 Eating our chips was kind of interesting as we had to keep scaring off the seagulls. 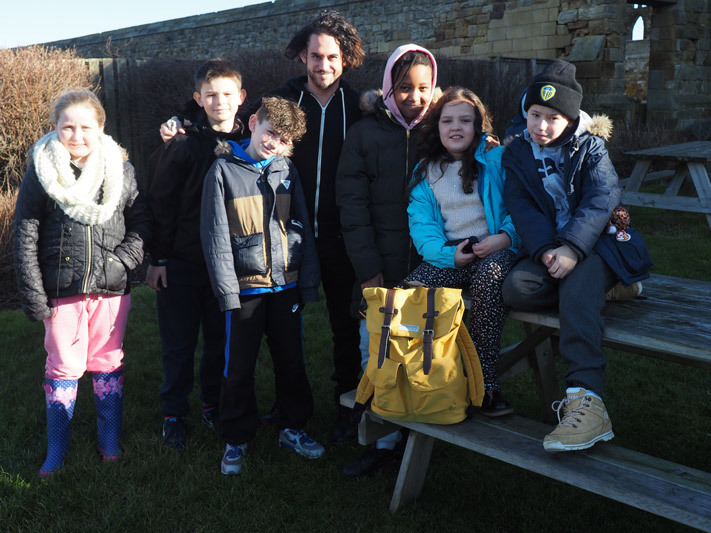 In the evening we were joined by Mr Dyson who led some of us on a spooky walk around the graveyard of St Mary’s Church where he told us ghost stories. 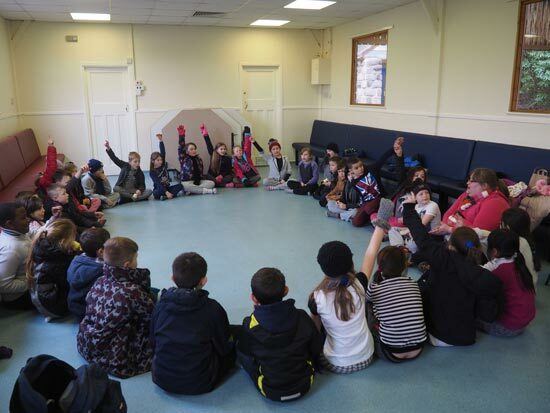 We arrived at PGL on Monday in the afternoon. 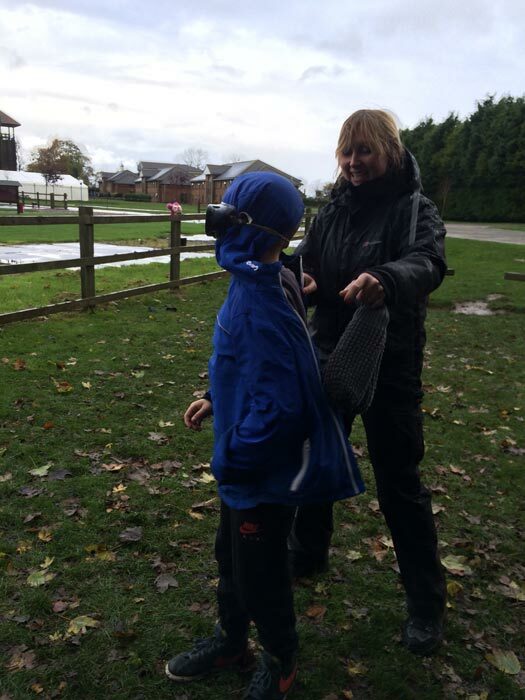 We met our guide and then had time to unpack before we had our dinner. 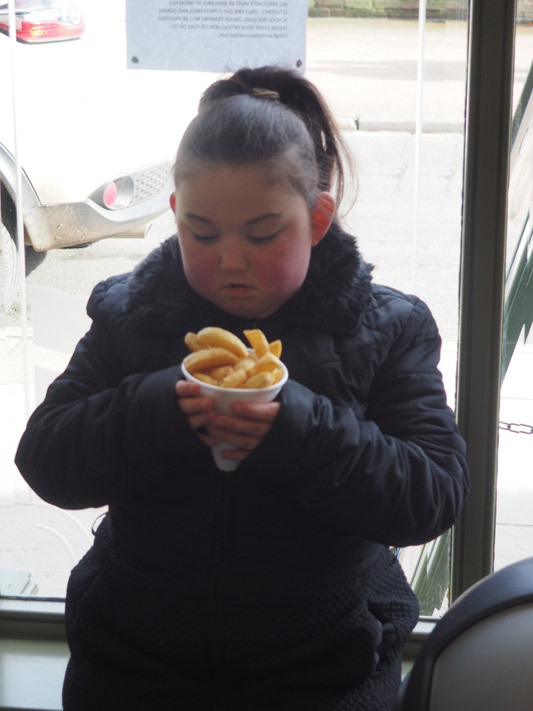 There was always a 2 course dinner with a range of options. 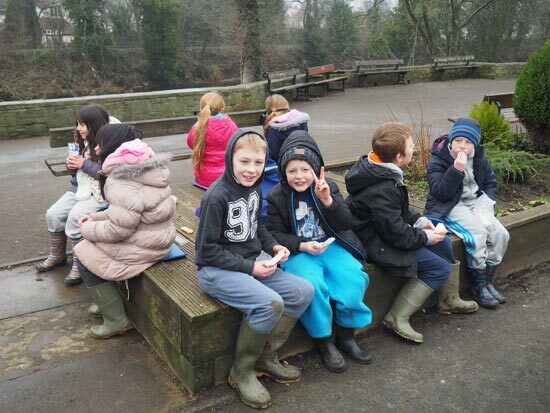 The food was better than a 5* hotel! 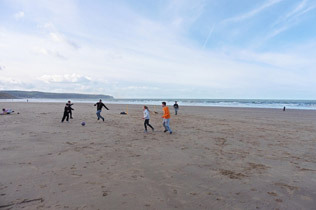 After dinner we had some free time before starting the evening activity. 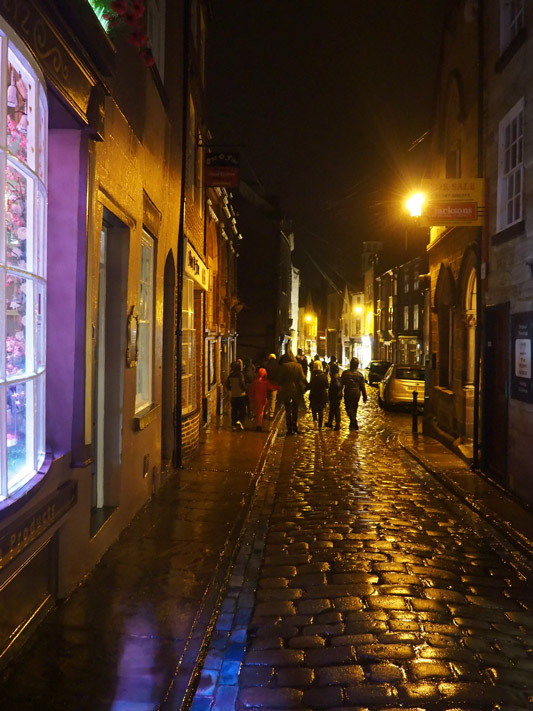 We played ambush the first night, which was great fun. 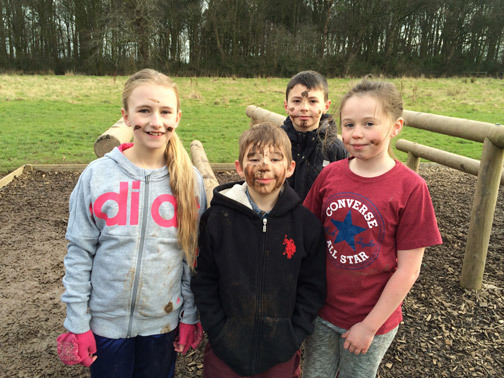 After playing ambush we were all so tired we couldn’t wait to get to bed. 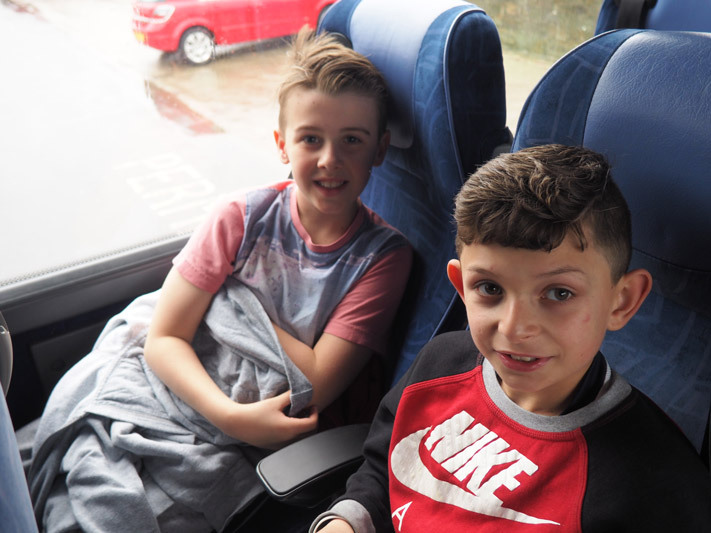 The rooms were very warm and the beds were very comfortable. 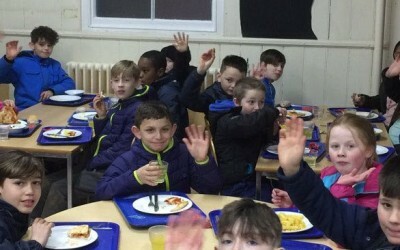 Every morning we woke up and got showered and dressed ready for the day and then went down for breakfast. 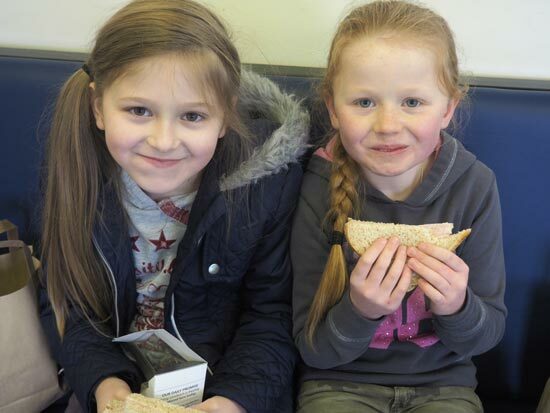 There was lots of choice – continental and three hot options were always available. 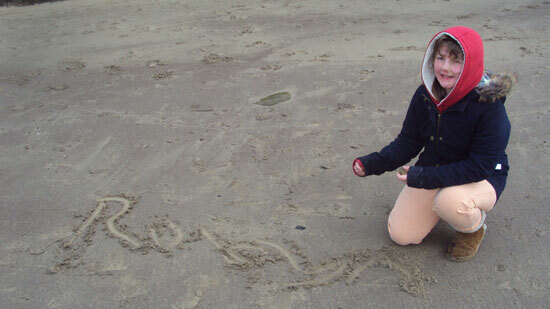 It was lovely, set us up for the day! 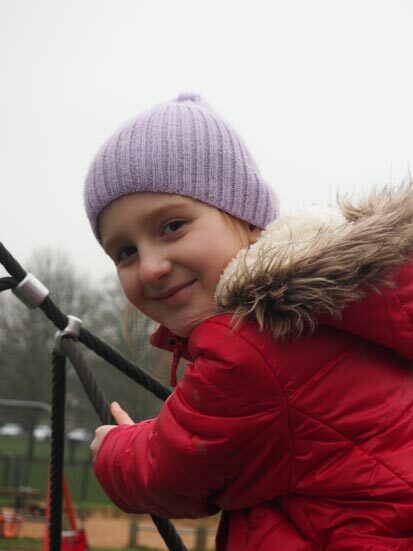 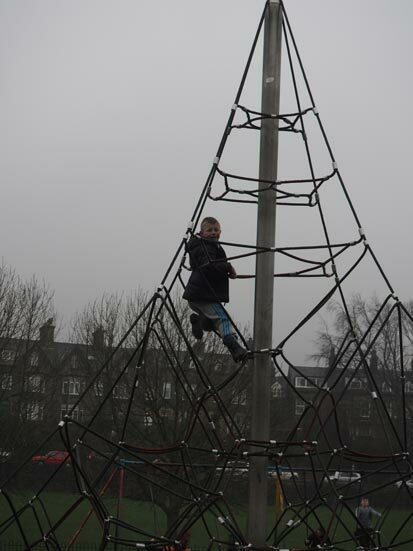 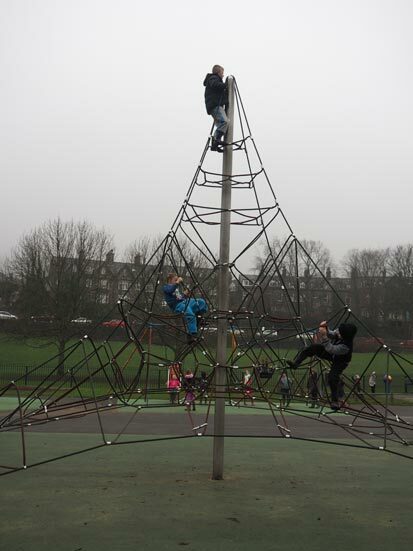 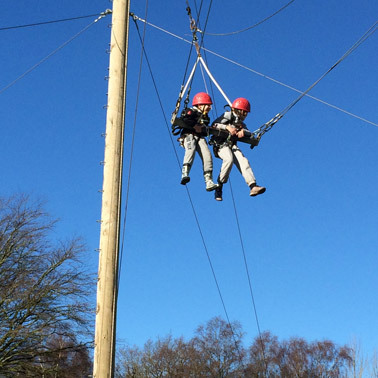 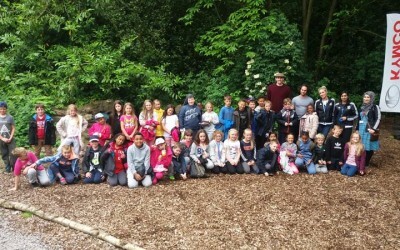 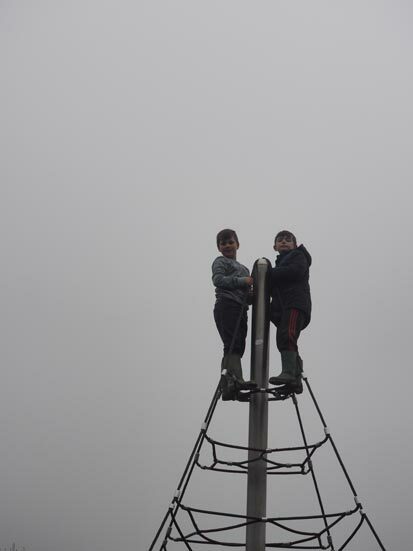 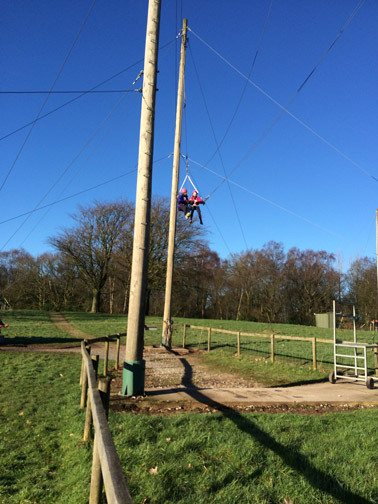 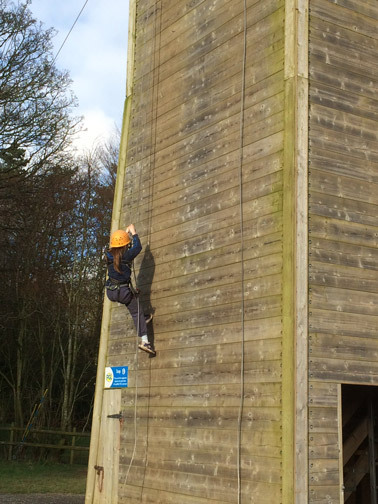 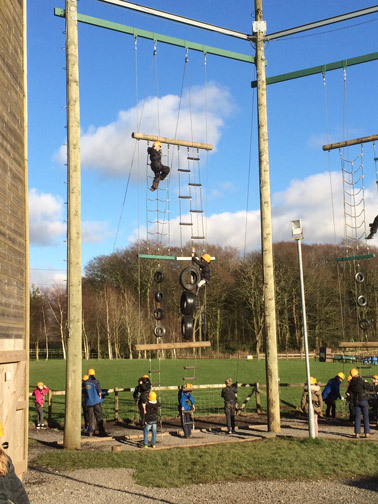 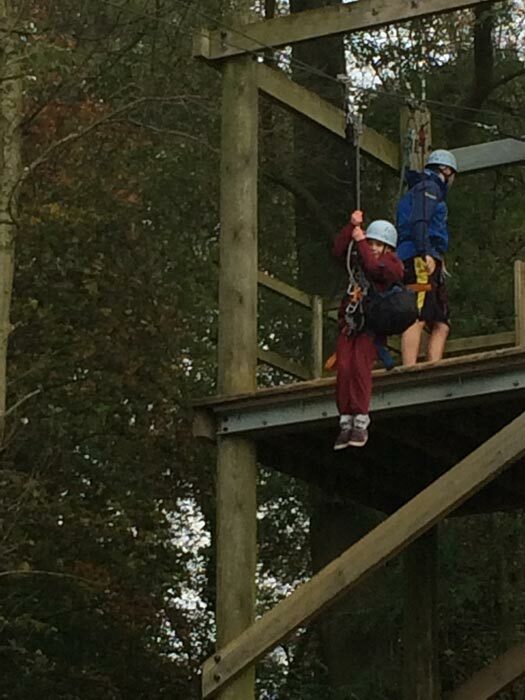 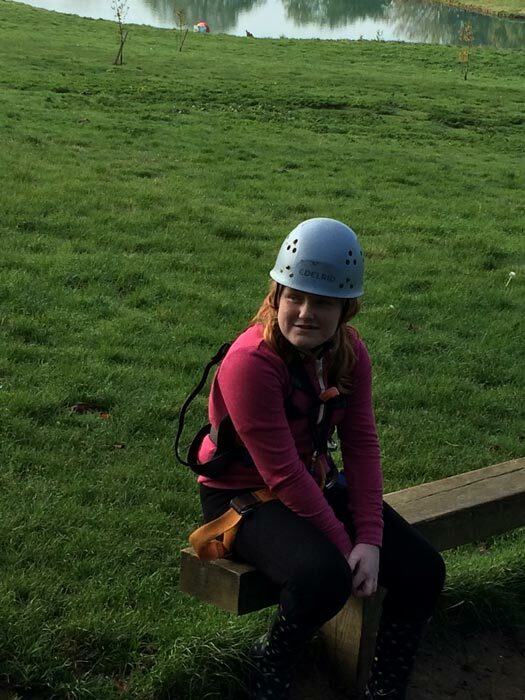 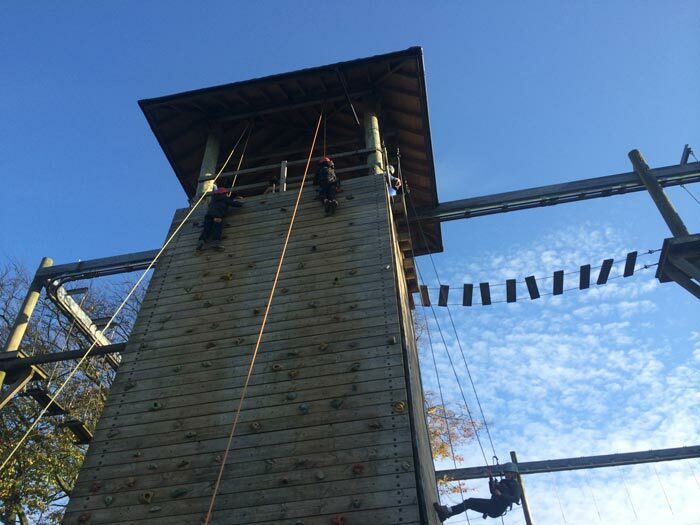 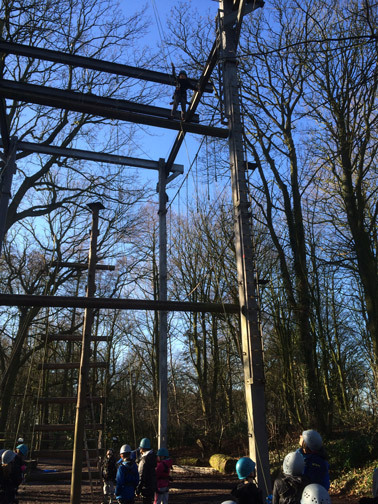 Jacob’s ladder, the trapeze, archery, low ropes, challenge course, sensory trail, fencing and the giant swing. 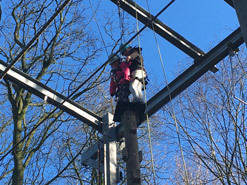 All the activities were amazing. 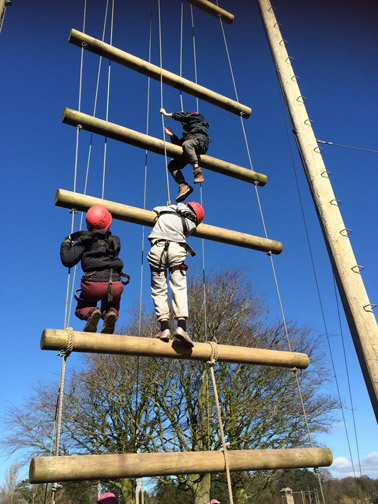 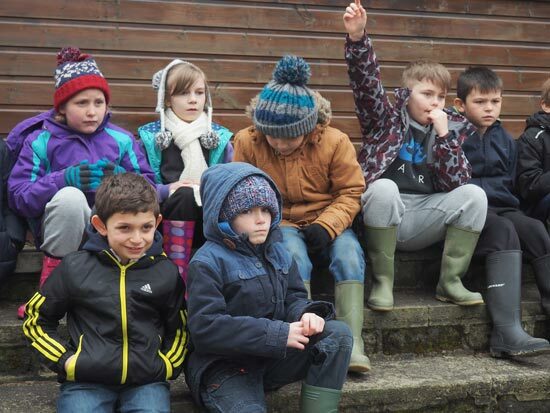 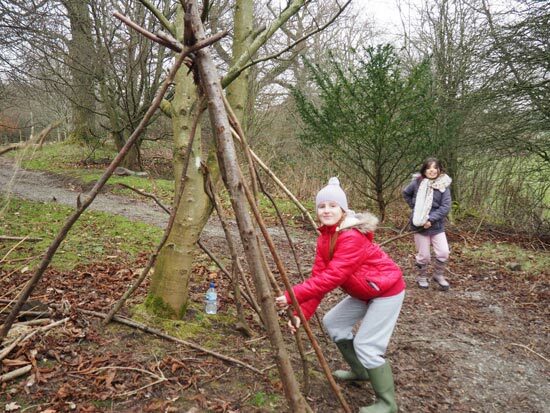 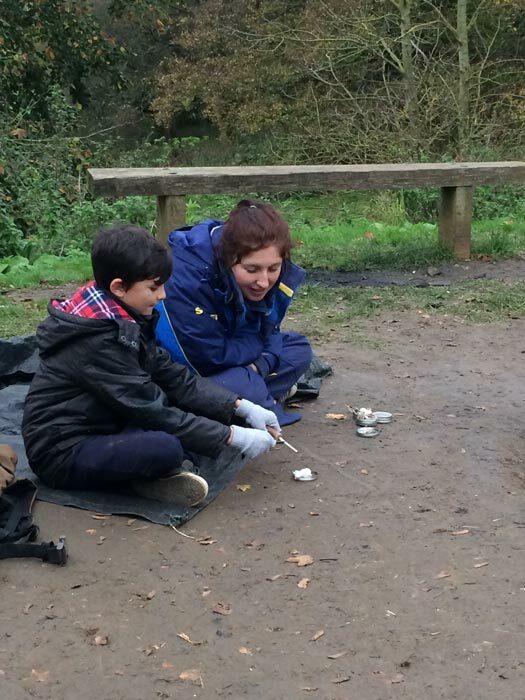 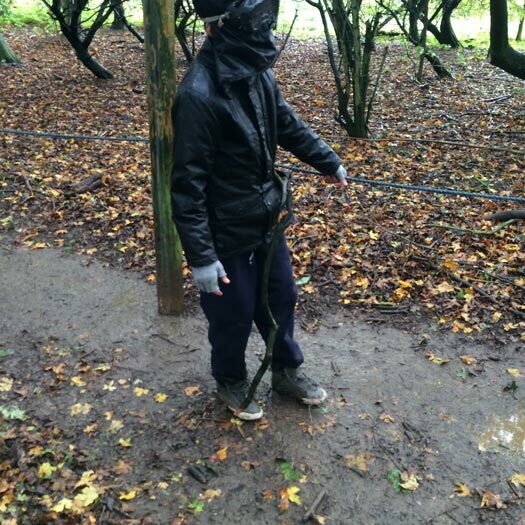 During the activities we worked as a team and we all worked well together, getting close up with the outdoors. 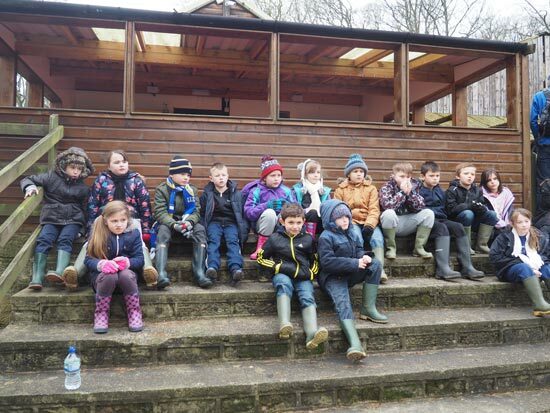 It was great, great fun and we laughed lots! 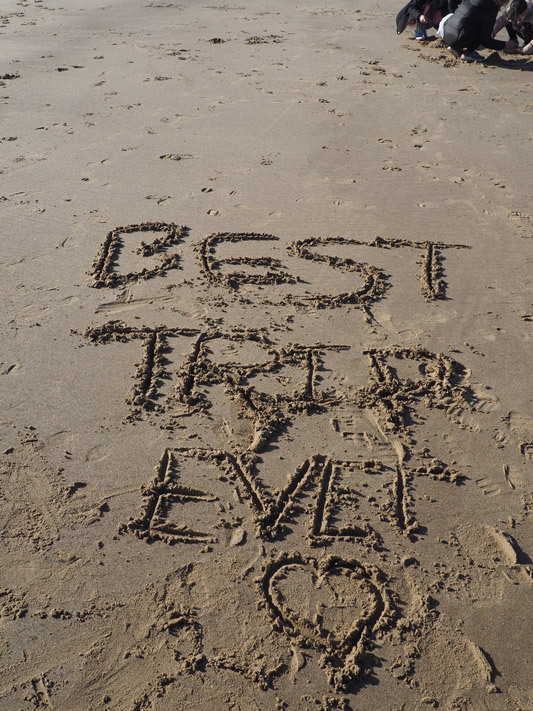 It really was a trip we won’t forget. 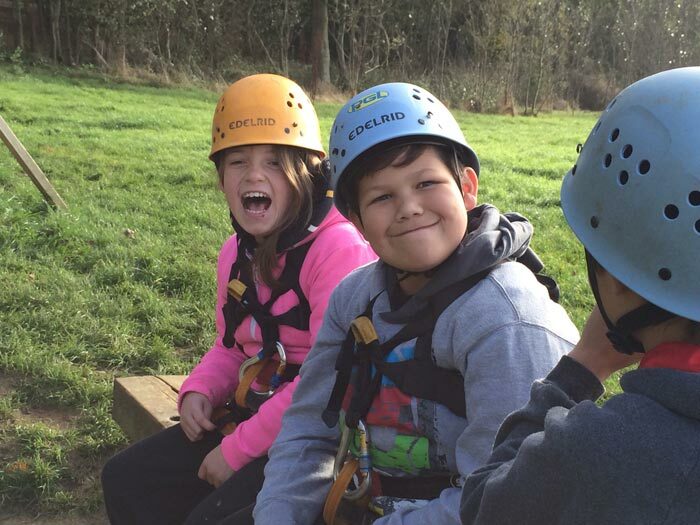 We loved every second.